Not to rain on you dance of joy, but this post might be better titled as "My Cup Might Potentially Runneth Over at Some Future Date." Not that this isn't great set of potential features, but can we wait until it goes live until we elect them Queen of the May? We've all seen the "Great on paper, good in beta, 'meh' once live" cycle. And this is Funcom after all and they have been known to stumble about a bit at launch. Saying that the devs were also responsible for Anarchy Online and Age of Conan could be construed as either an endorsement or a warning. There's a reason the internet calls these guys "Failcom" now. I thought they actually did quite a few things right with AoC, but the game was nowhere near finished when it was released. 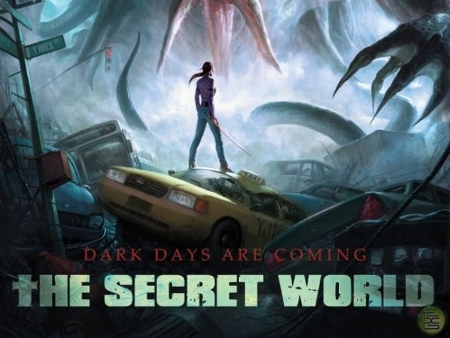 I'm not overly hopeful that they'll do much better with The Secret World. The world is not fantasy based. Hopefully Funcomm can deliver because this looks like the game I want to play. Until then however, its Eve and Entropia for me. Hopefully it will not disappoint and you sure make it sound perfect but I'm not sure if it's going to beat my addictions . Well if it will , cheers mate ! Its pretty good, i'd give it four stars out of five. Bookofraonlinespielens offers earn € 100 start bonus. So register now and get a 100 Euro bonus. Book of Ra one of the most popular online casino games at Germany in Europe. Many countries in Europe to play Book of Ra.